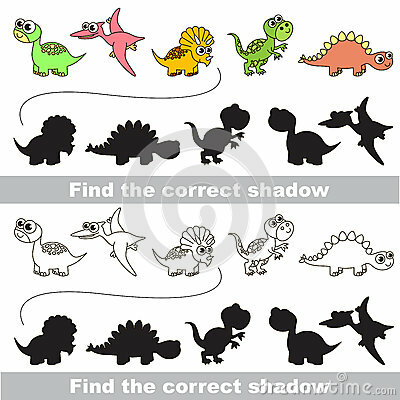 Dinosaurs set with shadows to find the correct one. Compare and connect objects. and their true shadows. Logic game for children. Kids board game with dinosaurs template.